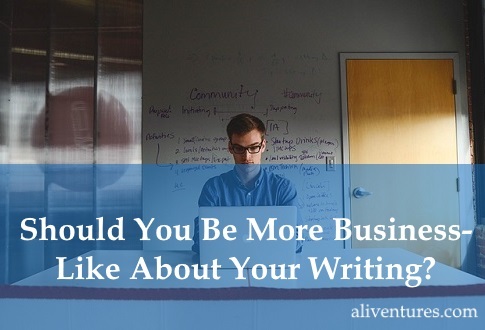 Should You Be More Business-Like About Your Writing? One piece of common advice in the world of writing is “treat your writing as a business”. But like the idea of striving to write faster and faster … is it really such an equivocally good idea after all? I have a writing business: for eight years now, my income has come from my writing and from my work with writers. And I’ll readily admit that adopting some “business-like” practices can help most writers. But sometimes, treating your writing as a hobby – or an artistic pursuit, or an avocation – is better than trying to be super-serious and business-like about it. What Type of Writing Do You Want to Do? If you want to make money as a freelancer, then yes, treating your writing as a business is probably a good idea! But if you want to write, say, poetry, then you might be happiest doing so for the joy of it … and not worrying about output or marketing or sales. Many writers, of course, end up working on a mix of different projects. 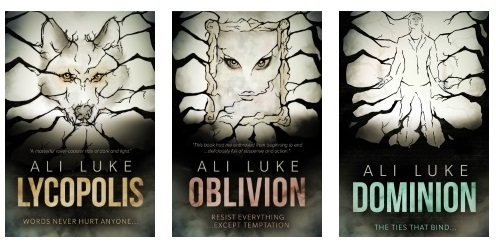 I write novels (I’m currently onto the third book of my Lycopolis trilogy) – but I also write blog posts and freelance pieces. If there’s a particular type of writing that you love to do for its own sake, then give yourself time for that. My fiction makes up a tiny percentage of my writing income … but I spend a fair amount of my weekly writing time on it. That might seem like an odd business decision, but I know I’d feel miserable if I didn’t pursue my fiction alongside everything else. Whatever you’re writing, though, even if it’s something that you really can’t make money from (e.g. a story for a family member, or a piece of fanfiction), framing what you do in business-like terms can help you get more from it. If it’s not possible for you to have a set time to write, then at least have a goal for the week – e.g. two hours total of writing. Try this: Every Monday, sit down and decide when you’ll fit in some writing during the week. You might stick to pretty much the same times each week, or adjust to fit around a changing work schedule. When you’re writing, write. Don’t start doing non-writing work (e.g. reading work emails, cleaning the house) … just get on with the task at hand. I find it helps a lot to physically unplug my laptop from the internet – I am that easily distracted! Try this: Set a timer while you write, for 15 – 30 minutes. When you get the urge to check Facebook or make a coffee, remind yourself that you just have to write until the time is up. It’s not much fun to write when you’re constantly spending ages trying to find the file for your work-in-progress, or you can’t remember where you’ve put your notebook, or you have no idea which magazines you actually submitted your short story to. Having a dedicated space for your writing. If you don’t have the luxury of a home office (most writers don’t! ), then get a large box or basket that you can keep notebooks, pens, printouts, etc in. That way, you can move it around the house as needed. Keeping records of what you’ve submitted where: for instance, you might create a spreadsheet to track your various short stories and which competitions they’ve been entered into or magazines they’ve been sent to. Setting up a separate bank account for your writing income / writing expenses. If you are intending to make money writing, then it’s easiest to keep your business income and expenditure completely separate from your personal incomings and outgoings. So far, so good. But there are also some business pitfalls to watch out for. Not all writers thrive with a purely “business” mindset – in fact, I think almost every writer needs to have some element of “hobby” or “play” in their writing. While setting goals can be exciting and inspiring, having too many different goals can end up feeling overwhelming. 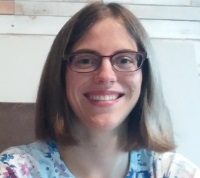 The idea of putting together a five-year plan for your writing business, or even a plan for the next six months, can sap a lot of the joy out of writing (at least for some writers). Fix it: Start small – especially if you often find yourself setting over-ambitious goals then failing to reach them. Come up with a sensible, achievable goal for the next few weeks – e.g. “write 2000 words per week for six weeks”. This is a tricky one – but sometimes, being too “business-like” about your writing can lead to poor financial decisions. You might find it a bit too easy justify the cost of a conference – or an evening class, online course, or even just a couple of writing magazine subscriptions – as an “investment” in your writing business. While you do sometimes need to invest money to grow a business, if you’re constantly spending money while making little or none, that can lead to a lot of stress and pressure. Fix it: Look for free or cheap ways to learn more about the craft or business of writing … or treat writing as a hobby and put books / courses / etc on your birthday wish-list. Don’t assume that you’ll quickly or easily make back the cost of a particular course. Ultimately, for almost every writer, writing is going to be partly a business endeavour and partly an artistic one. Obviously, the scales might skew one way or another … but however committed to “art” you are, you probably wouldn’t mind making money, and however focused on building a business you are, you probably still want to feel fulfilled in the process. One crucial way to enjoy your writing more, whether as a fledgling business or purely as a hobby, is to actually make time for it! 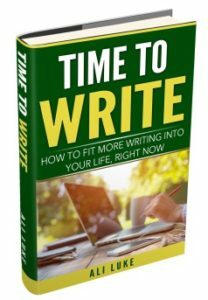 In this mini-ebook, I take you through ten short chapters on making more time to write, with tips on making it a regular, sustainable habit and solutions to common problems (unsupportive family members, lack of motivation, and interruptions). Great insights Ali about Freelance writing. Actually few months ago I did not realize that freelance writing would a great thing to earn money online. Recently I have completed my graduation and start writing on my blog. Hoe will make something from it. Vishwajeet Kumar’s last blog post ..Brand Ambassador Program in UK (London) in 2016. Best of luck with your blog, Vishwajeet!